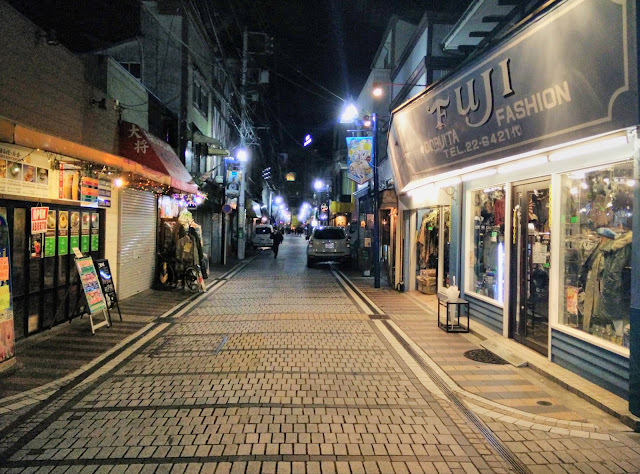 Dobuita - the shopping street area in Ryo's hometown we know and love. 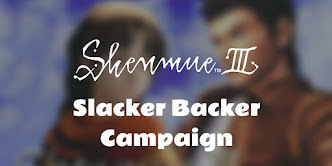 By the end of the first disk of Shenmue, it is as familiar to the player as the back of their hand, as Ryo's investigations take you to burger stands, apartment buildings, seedy bars, antique shops and game arcades. 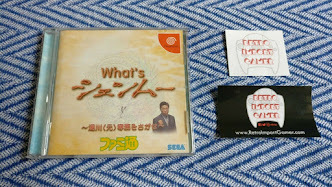 Dobuita in Shenmue was based closely its real-life Yokosuka counterpart, although the real location is known as "Dobuita Street" (Dobuita Doori in Japanese) rather than just Dobuita. As in the game, it is located next to a US Navy base and runs around 500m in length. So does the name "Dobuita" itself have any particular meaning? I decided to research into how the street got this name, and it turns out the answer ties back to the early history of the area. dobu ドブ refers to a ditch, gutter or drainage channel. ita 板 is a board or slab. Back in times when there were no underground sewage systems in Japan, ditches were used to carry waste water along the streets. Wooden boards were laid over the ditches as a cover, and these were known as dobuita ("gutter boards"). The photo below of a restaurant carpark entrance shows the way that such boards were laid. It's not common to find dobuita around the streets these days however. 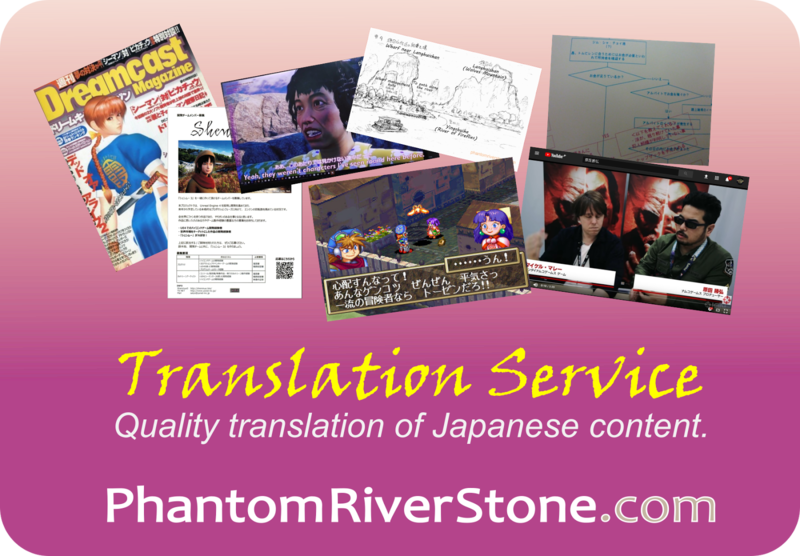 Although the word has fallen out of common usage in modern Japanese, it can still be found in certain idiomatic expressions. For example, although it is something no longer permitted, a "dobuita election" (dobuita senkyo) in politics was the name given to one in which candidates personally visit the owner of every home in the area to canvass their support. (The naming comes the image of the candidate walking over the street drain covers to reach the entrance of each house). So what connection led to the naming of Dobuita Street? 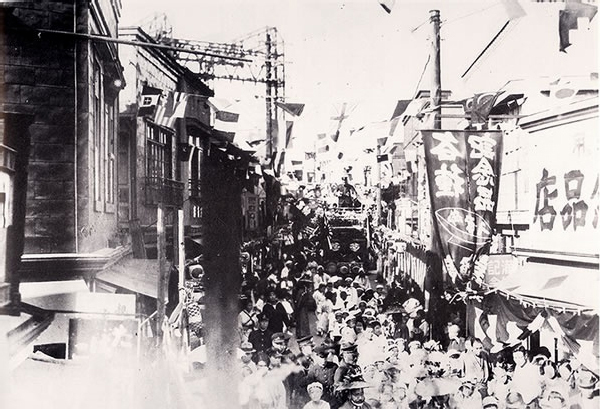 Originally, the Honcho area in Yokosuka (where Dobuita Street is located) was a bustling army port town for the Japanese Imperial Navy. 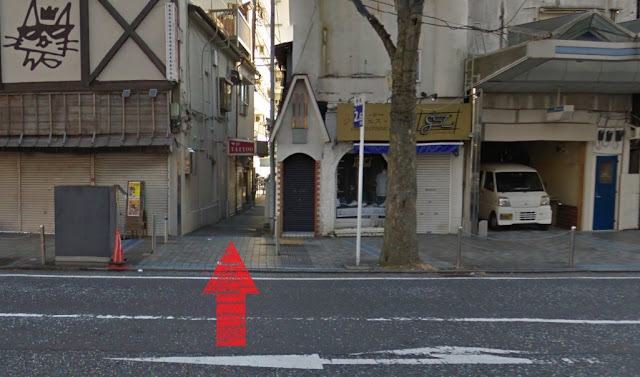 At that time, a drainage channel or canal ran down the middle of the road that corresponds to today's Dobuita Street. Since the presence of this drain disrupted the passage of people and cars passing along the street, heavy iron plates were supplied by the Navy Yard to cover it. In time, due to these drain covers - dobuita - the road came to be known as Dobuita Street. This name can be seen marked on maps as early as the early 1900s. The name has stuck through to the present day. The question comes to mind as to whether there is any trace or reference in present-day Dobuita Street of the drain that originally ran through it. 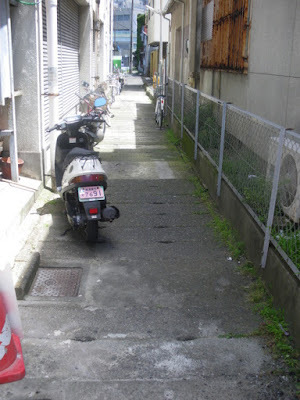 If you venture down this alley, the path beneath your feet is actually made up of thick concrete slabs laid over a large drainage channel: concrete dobuita, if you will. 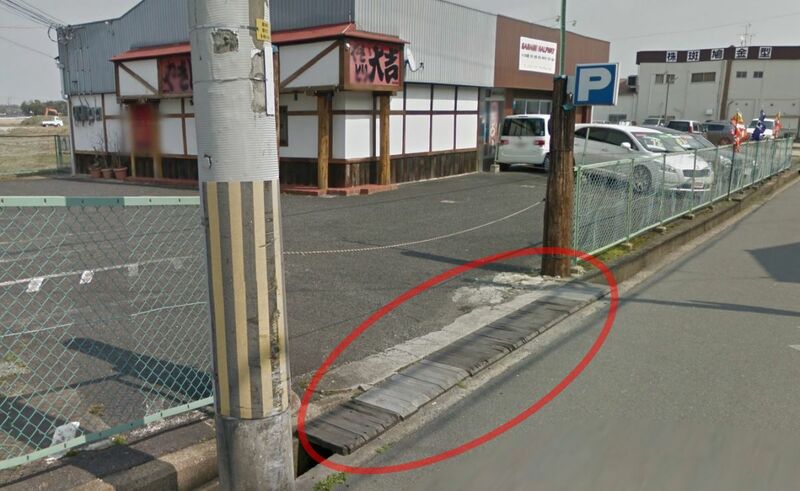 Given its relative position, is it possible this could be a remnant of the original water channel that ran down the center of Dobuita Street? Well, due to the number of large-scale earthworks and in-filling that has taken place in the area over the past century the likelihood is very low. But it still gives an interesting link back to how the street once used to be. 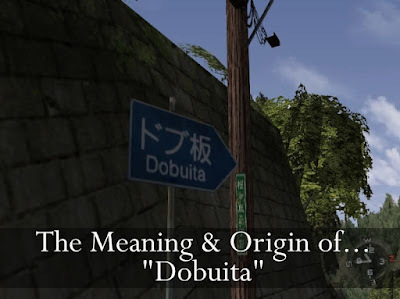 I hope you enjoyed learning a little about the history of Dobuita and the origins of its name. One possible future project I have in mind is a "guide map" for the real-life Dobuita & nearby streets that highlights spots with a strong Shenmue vibe. It might be useful for people who are planning a trip over but are short on time. Let me know your thoughts! Really interesting information, switch! Keep the good work! Cheers Joel! Thanks for stopping by. Would love the guide map idea Switch :), would love to visit at some point so would definitely be a great help! Hey SkillJim! Cool, it's something I'd definitely like to do. I will also vouch for a guide map. Intriguing update as always, Switch. Good to hear, thanks JC! Interesting, thanks Switch! I love the map idea! !